Founded in 2010 and serving the Pacific Northwest and the Portland Metro area, the Rose City Model Sailing Club was chartered in 2011 by the American Model Yachting Association (AMYA) as Club 311. As a relatively new club, we’re anxious to increase our membership, and invite you to join us for build nights or weekend sails: we always have model boats available for trial sails! Currently the RCMSC supports three fleets of AMYA sanctioned radio controlled model sailboats: the German designed 21″ MICRO MAGIC racing model yacht (sailed worldwide); the T37 : a classic 37″ wooden model racing yacht manufactured in the Seattle area with a large following in the Pacific Northwest; and the 25.8″ DRAGON FORCE 65, a new class of r/c model racing yachts introduced in 2013 in the U.S., UK and Europe. 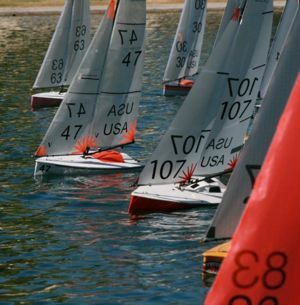 Occasionally, a few of our members still sail the first model sailboat supported by the RCMSC, the 12″ FOOTY–a developmental class of r/c model yachts with an international following. Our primary sailing venues, Westmoreland Casting Pond and Tualatin Commons Pond, are in the Portland area but we hope to add venues as we expand membership (see our VENUES Page for locations). Our SAILING SCHEDULE emphasizes weekend sails and has been planned to complement the racing schedule of our good neighbor the Oregon Model Yacht Club (OMYC). Check our NEWS POSTS for announcements of RCMSC initial race results, non-scheduled sails or special events. Final race outcomes will be found on our RACE RESULTS Page. 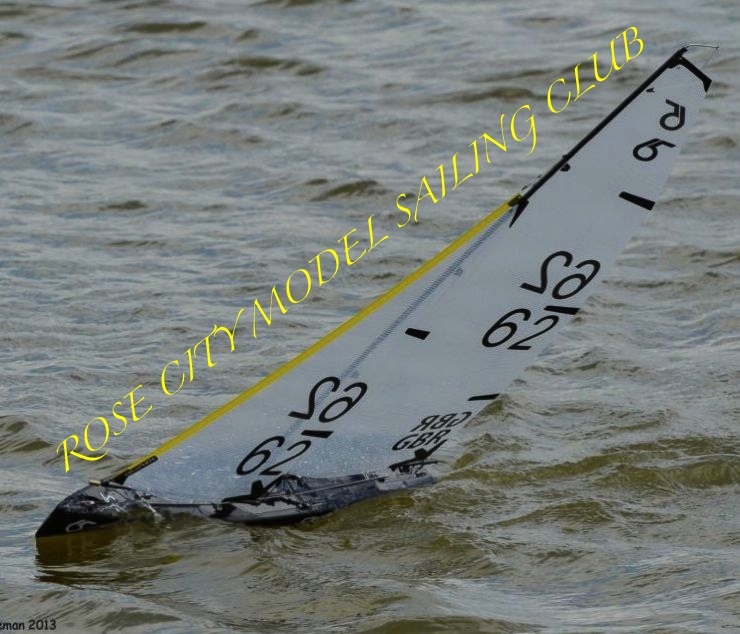 If you’re interested in joining the Rose City Model Sailing Club, membership and contact information is available on our ABOUT Page, and additional information and photos may be found at Rose City Model Sailing Club (RCMSC) on Facebook. RCMSC Officers are always available at our weekend sails.